MEIZU is an old acquaintance at this point. A brand that stands out when designing Smartphones for all ranges. The MEIZU M5s is an example. This Smartphone may have some time in the market, but it does not stop it from being a marvel worthy of praise. Today, thanks to LightInTheBox, it will be possible to acquire the terminal for a price of only $81.99, so we better stop wasting the time and let’s briefly review what this mid-range device has to offer. The MEIZU M5s is a device with dimensions of 14.82 x 7.25 x 0.84cm, and with a weight of only 143 grams. Its construction is in metal, thanks to the help of the CNC laser technique. It is made up of 3 pieces and has rounded edges. 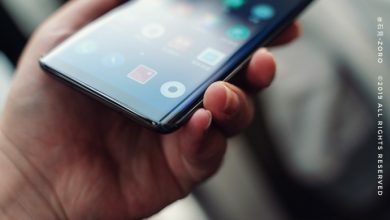 On the front, there is a camera, the speaker, a sensor hidden under the case, and the home button with an oval shape and a glass construction (it has touch technology). On the back are the main camera with its corresponding flash and the name of the company engraved with a laser. On the right side, we find the volume and power buttons, while on the left side is the tray for the SIM and micro SD cards. The MEIZU M5s also has a 3.5mm port and micro USB. The MEIZU M5s has an IPS capacitive screen of 5.2 inches with a 1280 x 720p resolution (HD), which translates into a density of 282 pixels per inch. It has a 2.5D glass to add a few additional points to the aesthetics of the device. The MEIZU M5s has an MTK6753 processor octa-core of 64 bit, which can reach speeds of up to 1.3GHz. To support it, the SoC has the help of the Mali-T860 GPU and 3GB of RAM, a duo that will allow it to move the most demanding applications. As for the ROM, it comes in two presentations, one of 16GB and another of 32GB, however, the current deal is for the 16GB. In case this capacity is not enough, the memory can be expanded by the use of micro SD cards of up to 128GB. The battery has a capacity of 3000mAh, which is not the biggest on the market, but thanks to the compatibility with Quick Charge technology, the terminal can be recharged completely in just 1 hour. For the main camera, the MEIZU M5s has a 13MP sensor with a f/2.2 focal aperture. It supports PDAF and other functions such as autofocus. As for the front camera, it is a 5MP sensor, which although is not impressive, with enough lighting it manages to achieve good results. The MEIZU M5s works with Android 6.0 Marshmallow natively. This gives us the possibility to block certain functions and permissions of the applications. 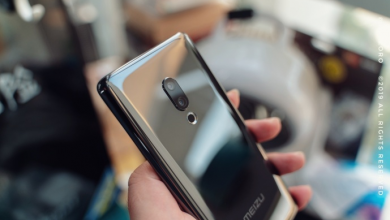 The MEIZU M5S has good features when it comes to keeping us connected to the network, supporting a wide number of bands, such as the 2G GSM B2/B3/B5/B8, 3G WCDMA B1/B2/B5/B8 and 4GFDD-LTE Band 1/3/7, in addition to this we have Wi-Fi 802.11 a/b/g/n. We have Bluetooth 4.0, which allows us to maintain a more stable connection. The MEIZU M5s is currently available for purchase at LightInTheBox. For a limited time, you can buy it at only $81.99/€72.97. Do not miss this unique opportunity.